January 18, 2018 — Denny’s, the Upstate-based casual restaurant chain that serves meals around the clock, has joined the list of financial backers for Charleston’s International African American Museum with a $200,000 pledge. A Denny’s board member with ties to Charleston sweetened the pot by kicking in another $75,000. Construction on the $75 million museum near the City Maritime Center on Concord Street is scheduled to start this summer. “It is an honor to support an institution that will illuminate our shared history and elevate inclusion, progress and the celebration of diversity,” Denny’s CEO John Miller said in a written statement Thursday. Denny’s, headquartered in Spartanburg, lists about 1,600 restaurants around the world. 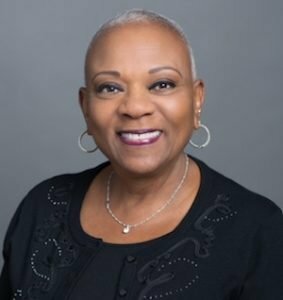 Brenda Lauderback, chair of Denny’s board of directors, and her husband, Dr. Boyd Wright, also pledged $75,000 to the museum’s Denny’s throws support to Charleston’s International African American Museum Founders Fund, which includes not only construction but staff and programming to open the museum. Denny’s donation will be recognized in the East Boardwalk that leads from Charleston Harbor to the African Ancestors Memorial Garden. In the 1990s, the restaurant chain was rocked by complaints of discrimination against black customers. It started racial sensitivity training for its employees and has since been recognized for its commitment to racial diversity. The company’s pledge is among the more than $12 million that museum organizers have raised from private donors over the past year, including a $10 million grant from the Lilly Endowment. At last count about $6 million more is needed before seeking bids for construction.